Comfortable house, spacious rooms, great view! Property 6: Comfortable house, spacious rooms, great view! Fairytale House with a Pool Near Spoleto. Property 7: Fairytale House with a Pool Near Spoleto. 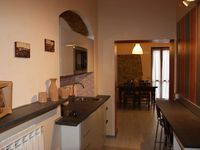 Casa Geranio D: A modern and graceful two-story cottage situated in a quiet location, a few minutes from the town center, with Free WI-FI. 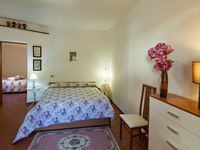 Property 27: Casa Geranio D: A modern and graceful two-story cottage situated in a quiet location, a few minutes from the town center, with Free WI-FI. House with private pool, large garden at 6km from Todi. Panoramic views!!! Property 30: House with private pool, large garden at 6km from Todi. Panoramic views!!! Charming, cozy apartment inside the walls of old Spello. The most special part of our visit was our hostess Nori who filled the kitchen with a wide variety of food for our enjoyment, drove us to and from the train station, and quickly dealt with a few minor issues (Internet and hot water). Nori eased communication across languages by using an electronic translater and by bringing the charming Vakentina who was able to speak english with us. She even brought us going away gifts. We lived our time inSpello and in Nori's quiet flat and were sad to leave.